I adore Terror in Resonance. Its smart writing and stunning animation have easily made it one of my favorite shows. After two consecutive viewings, I found myself completely invested in Twelve and Lisa’s deep relationship. While they have plenty of cute moments together, it was impressive to see just how much the relationship impacted their character growth throughout the show. WARNING: Lots of spoilers involving the characters and story of Terror in Resonance. Read at your own risk! Twelve is the best character in Terror in Resonance. Despite his unsettling serious moments, Twelve takes his heinous acts as a terrorist lightly. The first time we see him, he’s driving a security vehicle while humming and playfully tossing a hand grenade in his hand. He never forgets to have fun in everything he does – he will jump into a pool before school starts and shout “Jambo!” at classmates. Twelve is a lovable dork with so much charm it’ll melt your heart. Lisa is his complete opposite, and I’ll admit I wasn’t a huge fan of her in the beginning. In the first scene we see of her, she’s being bullied, but does nothing to defend herself. Combine this with a paranoid, abusive mother at home and it’s clear that Lisa isn’t happy with her life. She has an eating disorder. She’s weak and timid, and even faints after little provocation. She wants everyone around her to disappear. But more than anything, she wants to “escape” from the world. Lisa is far from a strong character, and it was bothersome. She seemed to be constantly causing problems, getting kidnapped, or causing friction between Twelve and Nine. 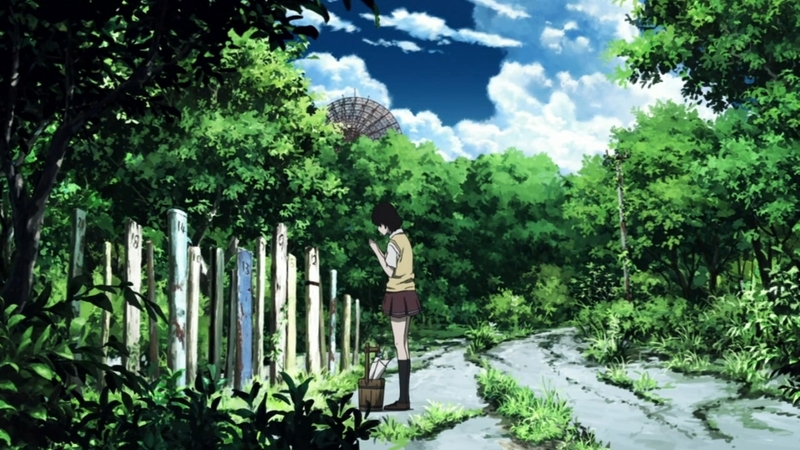 But as I watched the show for the second time, I realized that all of these qualities that I had deemed negative about her were critical aspects of Terror in Resonance’s major themes. For me, the most interesting thing about Twelve and Lisa’s relationship was that I wasn’t expecting it. At all. Sure, he distracted the bullies from bothering her, but he wasn’t exactly friendly towards her either. After she became an accomplice, he’d go out of his way to find her, usually only to tease and threaten her. With Nine repeatedly insisting to not get too involved with Lisa, it seemed that Twelve’s façade of indifference held up. But it’s clear that despite what his façade would suggest, Lisa left an impression on him and his interest in her would only continue to grow. In the first episode, Twelve noted that Lisa has the same weak eyes as the other children at the institution with him and Nine. Many of those children died leaving Twelve and Nine burdened with the guilt of being powerless to save them. Because of this similarity, Twelve doesn’t want to deal with the pain of being unable to help again. Before long, he started wanting to help Lisa and genuinely get to know her. This becomes more apparent after she runs away from her abusive mother. Crying, she confides in him her wish to escape the world despite realizing how stupid it was. After hearing this, Twelve fulfills Lisa’s desire to escape by taking her to Sphinx’s hideout. The implications here are huge. Despite knowing the consequence of involving himself with Lisa as a terrorist, his rebellious attitude spurs him to help her in any way he can. It takes some convincing to get Nine to agree to keep Lisa around, but before long it’s clear to see that Lisa has a huge impact on the two of them. Prior to her arrival, Nine and Twelve were highly intelligent, capable terrorists achieving their goals with each bomb detonation. They prioritized their mission over everything else. Once Lisa comes along though, they loosen up. They start acting more like normal teenagers. She helps to humanize them in contrast to their actions, and through this she establishes a particularly close bond with Twelve. In each scene Twelve and Lisa are in together, their personalities and interactions complement each other beautifully, dipping back and forth between amusing yet heartwarming exchanges. These conversations really contribute to the growth and changes that the characters undergo throughout Terror in Resonance. While Twelve begins losing sight of his ultimate mission, Lisa is able to find inner strength because of the freedom and kindness Twelve showed her. Her personal growth shows when she resolves to even help Twelve and Nine in their crimes of terror because she, for the first time, has a choice on the matter. Before Sphinx, her life was one of circumstances beyond her control and situations that she was too timid and weak to try and change. But because of Nine and Twelve, she was able to overcome her personal demons while gaining the strength to speak her mind. She’s been able to bond with them in ways that she never could with other people, and this urges her to willingly work alongside them in order to preserve her bond with them. Despite trying to help, she finds that she doesn’t belong with the two of them and tries to run away in the hopes that they will be better off. She’s soon kidnapped and used as bait to lure out Twelve and Nine by the American investigation forces to advance their own goals. Though Nine immediately suspects that it’s a trap and begs Twelve not to leave, Twelve still decides to betray Nine and their mission in order to save Lisa. It’s a huge shift in Twelve’s character that leads to one of the best and surprisingly romantic moments in the whole show. Twelve finds Lisa strapped to several bombs, and as the Ferris wheel ride begins he’s given a limited amount of time to disarm them. This scene, lasting for half of the episode, is chillingly beautiful to watch and indicative of how strong Twelve’s feelings are for Lisa. He acknowledges that it was a mistake to involve himself with her, but he can’t help but reach out and help her because he doesn’t want to be unable to help others anymore. 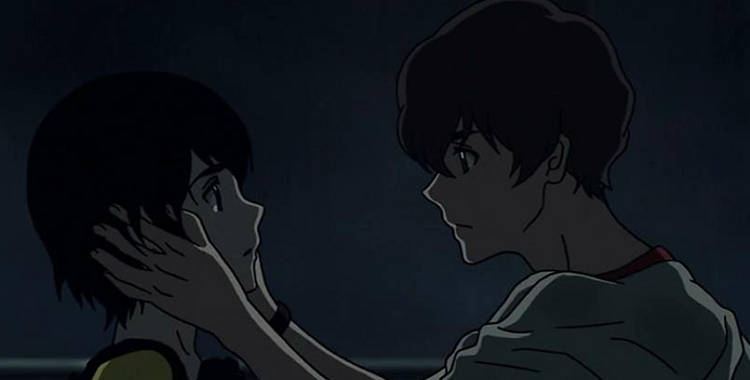 The support and comfort Twelve shows her exemplifies his resolve to make amends for the past, and at this point in Terror in Resonance, he wants to live for himself. He wants a normal, happy life despite knowing it’s completely out of his reach. He doesn’t want to be a part of Nine’s plot for revenge despite that they’re “out of time.” He doesn’t want to be a terrorist. More than anything, all Twelve really wants is to be remembered. Nine, to an extent, wants this as well, but his idea of remembrance requires exposing their past. Twelve on the other hand simply wants to be remembered and needed for who he is as a person, and this desire comes to light in the final episode when he tells Lisa that “neither one of us was ever needed by anyone before.” Before meeting Lisa, he and Nine he were invisible to the world. They were never supposed to exist, and being loved was out of the question. With Lisa relying on Twelve for support, he was truly needed for the first time and found the love and appreciation he always wanted. It’s a touching moment of vulnerability that says so much about his character and the impact she had on him. As for Lisa, she reciprocates his feelings and treats Twelve and Nine as if they were her family. She knows the pain of not being loved by her mother and being mistreated by others, but she resolves to reach out to them and help them in any way she can. From the moment she met Twelve, she was drawn to his carefree spirit, and she wanted the same thing for herself. She wants to be free from the pain she’s experienced in her life which is the reason why she so willingly wants to stay with Twelve and Nine no matter what. It gives her life new meaning and purpose, something she never had before, and something she wouldn’t have if Twelve hadn’t reached out to her and given her the freedom she desperately needed. It’s a great foundation for their relationship to grow on, and the show handled it expertly. At the end of the show, the three of them spend a fun day together before Nine and Twelve decide to turn themselves in for their crimes. Unexpectedly, the U.S. Forces appear and shoot down Twelve before Nine dies from the effects of the experiments. It’s a horribly tragic, unexpected ending to the love that Twelve and Lisa had developed for each other. Fortunately, Lisa, having gained confidence from her time spent with Twelve, continues to stay strong and live in memory of them, often paying her respects at their graves. 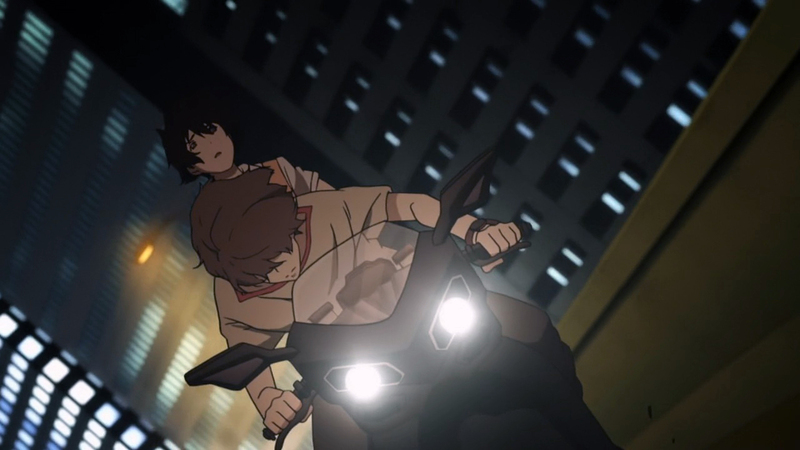 Terror in Resonance’s heartbreaking yet bittersweet ending ruined my psyche for several days after seeing it, and as upsetting as it was to see Twelve and Lisa’s short-lived romance end on such a sad note, it’s impossible to ignore the care the show took to develop their relationship. It’s deep and personal, and while the show didn’t need this romance, it was largely enhanced by it and served as a huge focal point for the characters to grow. There aren’t a lot of relationships that are as layered and meaningful as the one between Twelve and Lisa, and it was beautiful to watch unfold. I wouldn’t want Terror in Resonance to do anything differently. I actually just finished watching this anime and I remembered you wrote a post about the characters a while ago. I was pleasantly surprised by the depth and development of Twelve and Lisa’s relationship, considering the anime isn’t a long series and I’d say it isn’t very easy to develop characters in a satisfying way within a short amount of time. 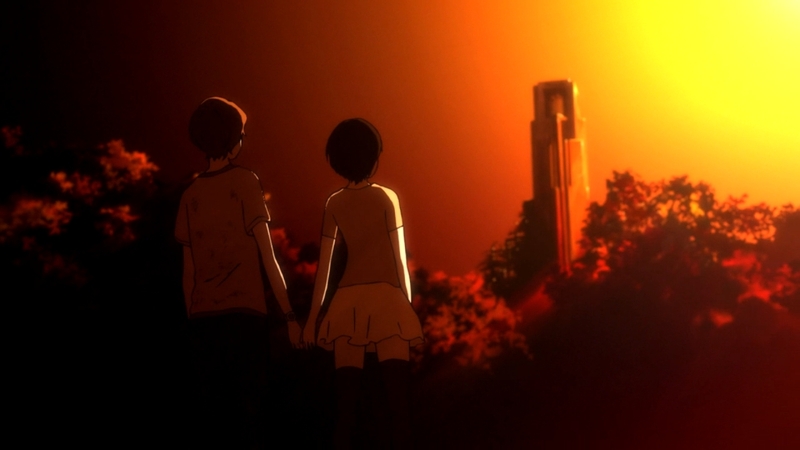 Somehow, Terror in Resonance managed to do it extremely well. I didn’t really expect to get too invested in these characters much less feel any sympathy for them. I was also about to write off Lisa as an unremarkable character in the series until you gradually watch how she changes because of her interactions with Twelve and vice versa. The Ferris Wheel episode fully sold me on Twelve and Lisa’s relationship. It’s really my favorite one from the entire series. I was mesmerized by that whole scene and the song playing in the background elevated the emotionally charged moment between them. I could probably rewatch that scene a thousand times and never get tired of it! The execution was really beautiful. The deepening of their bond and how much they realize they truly care about each other makes the final episode really upsetting to watch. I didn’t really expect the anime to end in a happily ever after, and quite frankly, the anime seemed to hint towards a tragic ending anyway, but it doesn’t make it any less painful to watch. Despite their relationship ending on such a sad note, I think it only makes the time they had together all the more meaningful. I was happy to see Lisa in a good place in her life in the final scene. I don’t think she would have gotten there had she not met Twelve and Nine. Oh awesome! Yeah, this is definitely a show I would recommend people to watch, it’s so well done despite how short it is (on one hand, it’s a complaint I have with the show, but with that said it makes due with the time it has, and in that way it’s perfectly paced. You want more, but you also know that it makes use of its time effectively to create a fantastic show that extending it would make it less perfect). Yeah, part of the reason why their relationship works so well in my mind too is because it’s unexpected, and almost unneeded really. The show didn’t need to include a love story, but because it did it so well it easily became one of the best parts of the show. I also love the Ferris Wheel scene. It’s my favorite, and the music is wonderful too. Yoko Kanno really knocked it out of the park with this soundtrack. I have to say that I was not charmed by Lisa in the beginning either, and it took a second viewing of the show to realize just how much growth she does get because of Twelve and Nine. In that way, she reminds me a lot of Simon from Gurren Lagann. They both grow a lot from the people around them, and ultimately become better and stronger individuals because of it.